In an effort to create a meaningful clinical experience for undergraduate pre-service teachers, this chapter explores how authentic interactions with English Language Learners (ELLs) within university-school partnerships work to foster pre-service teachers' feelings of multicultural efficacy. Qualitative data were collected through reflective journals, case study projects, and archival data. Analysis of data from participants' reactions to the clinical experience suggests that multiple factors intersected to create a positive, authentic field experience for participants. Emergent themes included the impact of sociological mindfulness and the power of students' stories and lived experiences on shaping teacher beliefs. The data suggests that establishing a partner school with strong leadership that embraces diversity and supports ELLs and creating structured field experience in which participants engage in mentoring/tutoring relationships with ELLs is critical to this process. Implications for teacher educators and teacher education programs are discussed. Educational scholars have long emphasized the value of strengthening university-school partnerships, yet specific frameworks that describe how partnerships are created and sustained are often more obscure (Baker, 2011). While much of the traditional university-school partnership literature viewed university partners as providing services to fulfill a need or deficit in P-12 schools, increasingly more prevalent are descriptions of universities’ attempts to create mutually beneficial partnerships (Baker, 2011; Foote & Cook-Cottone, 2004; Sobel, Gutierrez, Zion, & Blanchett, 2011; Zeichner, 2010). 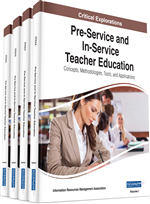 Teacher education programs have often utilized school-university partnerships to facilitate clinical or field experiences for preservice teachers (Teitel, 2008). Studies suggest that clinical experiences represent one of the most crucial aspects of a teacher education program (Hollins & Guzman, 2005), yet the facilitation of the partnerships, experiences of teachers, and the time and quality of interactions are extremely varied (Hollins & Guzman, 2005; Wilson, Flodan, and Ferrini-Mundy, 2001). In fact, educational researchers have criticized the “haphazard” nature of many clinical experiences (Darling-Hammond, 2010, p. 40). Frequently mentioned issues related to field experiences include a lack of continuity between clinical experiences and university coursework (Wilson, Flodan, & Ferrini-Mundy, 2001), incomplete understandings of sociopolitical and cultural factors that influence diverse communities (Sobel, Gutierrez, Zion, & Blanchett, 2011), and difficulties in convincing preservice teachers to shift previously held beliefs about teaching and learning (Sleeter, 2008; Wilson, Flodan, and Ferrini-Mundy, 2001).